Is he the luckiest person on Earth? Frane Selak – 7 times lucky, and then again. Known as the luckiest man to ever live, Croatian Frane Selak cheated death not once or twice, but an astonishing 7 TIMES! Selak’s brushes with death started in January 1962 when the train he was travelling in flipped off the tracks, and crashed in a freezing canyon river. Bystanders pulled him to the shore, while 17 other passengers drowned to their deaths. Selak just suffered a broken arm and hypothermia. A year later, during his first and only plane ride, Frane was blown out of a malfunctioning plane door, and as luck would have it, landed on a haystack. The plane crashed, killing 19 people. Three years later, in ’66, a bus he was travelling in skid off the road, into a river, drowning four passengers. Selak, however, swam safely to the shore with only a few cuts and bruises. Two years after, Selak was trying to teach his youngest son how to hold a gun. Selak hadn’t realised that the safety trigger was accidentally off and somehow managed to shoot himself in the testicles. Selak’s testicles had to be removed, but he luckily survived, again. In 1970, and 1973 he got into accidents where his car caught fire. Apart from singed hair, Selak managed to get out of the situation absolutely unharmed, again. Later, in 1995, Selak was struck by a bus in Zagreb, but only sustained minor injuries. A year later, he eluded a head-on collision with a United Nations truck on a blind mountain curve by swerving into a guardrail, which couldn’t hold on its own and gave way under the impact force of the car. He was not wearing a seat-belt at this point of time, and was ejected from the car when the door flew open. Selak saw his death along with the car plummet down about 300 ft into a gorge. You’d think cheating death an inhuman 7 times would be enough to be on this list, but there’s more. 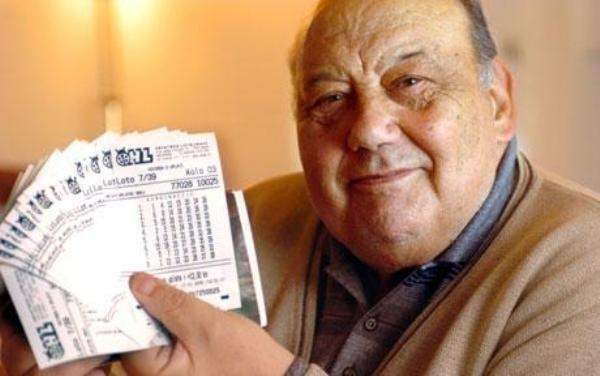 In 2003, two days after his 73rd birthday, Frane Selak won a staggering $1.1 million in the Croatian National Lottery! While he bought two houses and a boat with it, Frane also used the money to buy a small chapel to thank the Lord for all of his fortune. After $1.1 million and the 7 near-death experiences, he better be thankful. ← Dear Nigerians: “Corruption” Is Not The Problem And It Has Never Been!